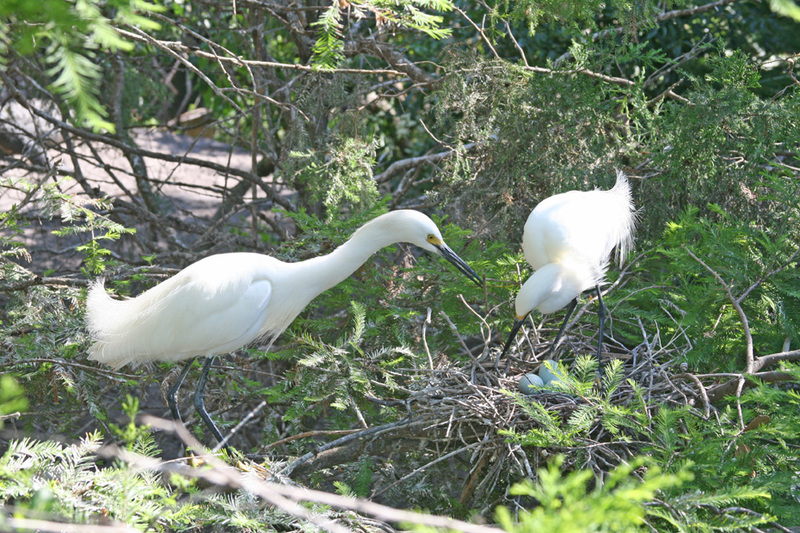 A mother egret tends her eggs in trees at St. Augustine alligator farm. She is in the wild and not one of the many caged exhibits. Daddy decided to join her. This fellow is looking pretty cocky. 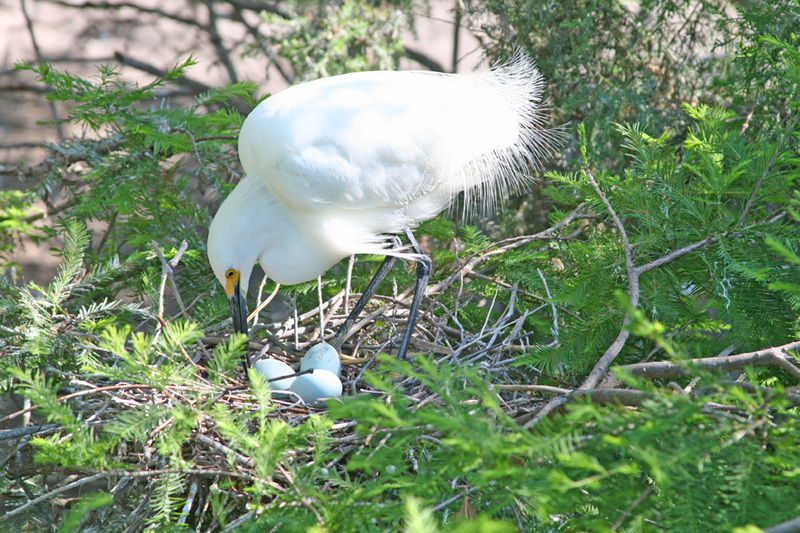 He's a great snowy egret also. Not sure what the raised plume on his head means. 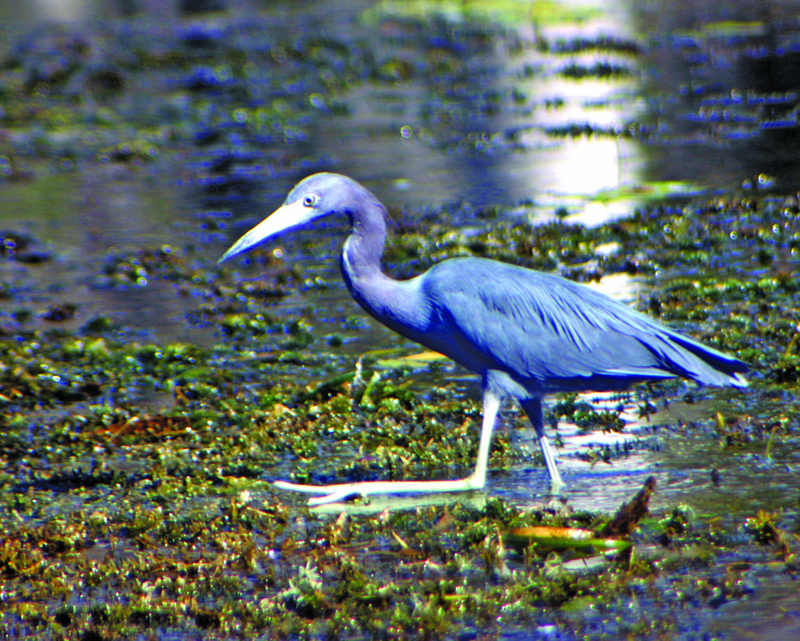 Blue herons are pretty common around Saint Augustine area. You'll see them in pretty much in any of the waterways. 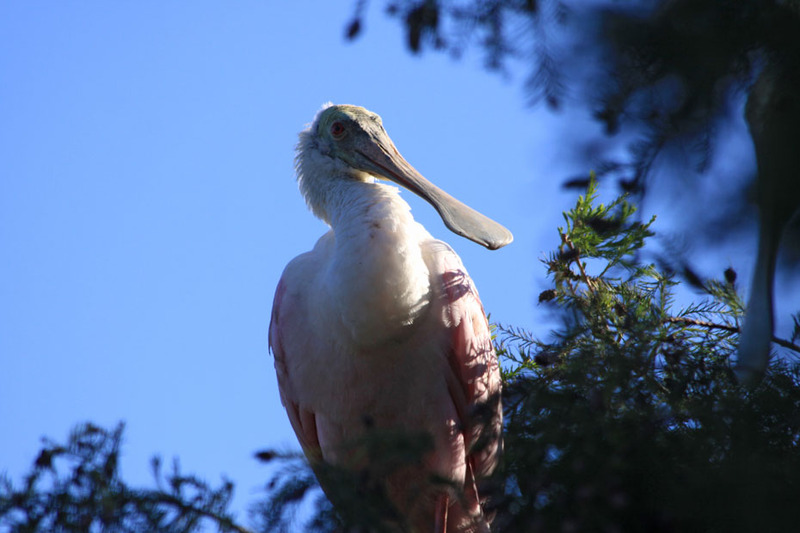 For a splash of color look for a roseate spoonbill. They are a bit harder to find but this fellow and a bunch of other spoonbills were hanging around Saint Augustine Alligator Farm. 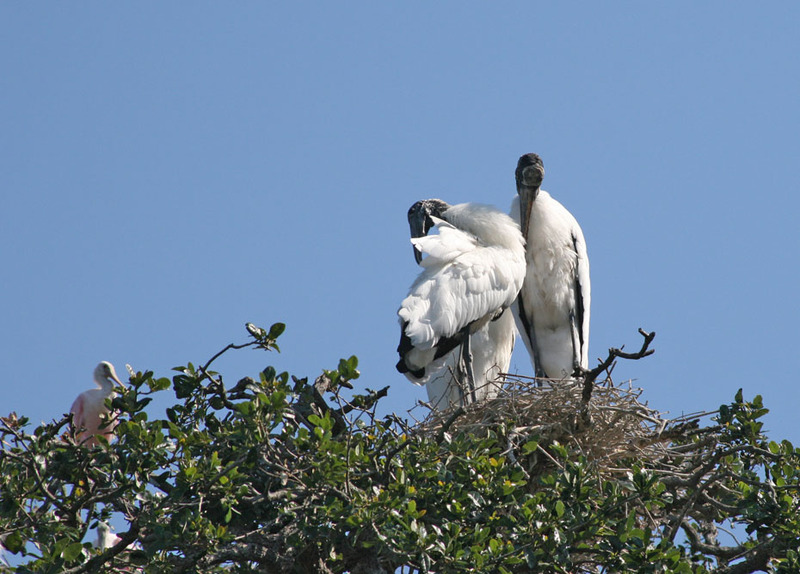 Wood storks are encountered often in the Saint Augustine area. I have even seen some in ponds behind a large shopping mall. Until recently they were listed as "endangered" but moved to "threatened." My friend, Barbara, and I recently did a kayaking trip in Salt Run. Actually, she paddleboarded and I kayaked. It was early March and we saw lots of wildlife. There are several outfitters you can use for your own kayaking or paddleboarding adventure. 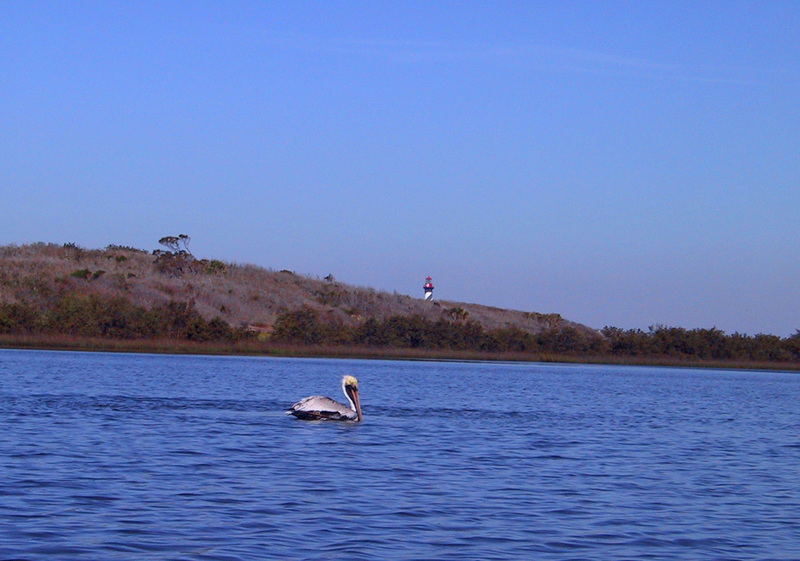 You'll find Kayak Saint Augustine set up at Lighthouse Park on Salt Run. Greg Braswell, who runs the outfitter, offers tours as well as rentals. Kim Lewis and Brian Outtrim operate Anastasia Watersports, the concessioner for Anastasia State Park. They have a second location just inside the park on Salt Run. They offer catamarine rentals as well as kayaks and paddleboards.If you are paddling from Lighthouse Park, as we did, this is a perfect stop off to rest and use restrooms. They also have picnic tables here. This pelican was brave. He would dive in for a fish right next to our boats. Between his fishing dives, he rested on the water near us. 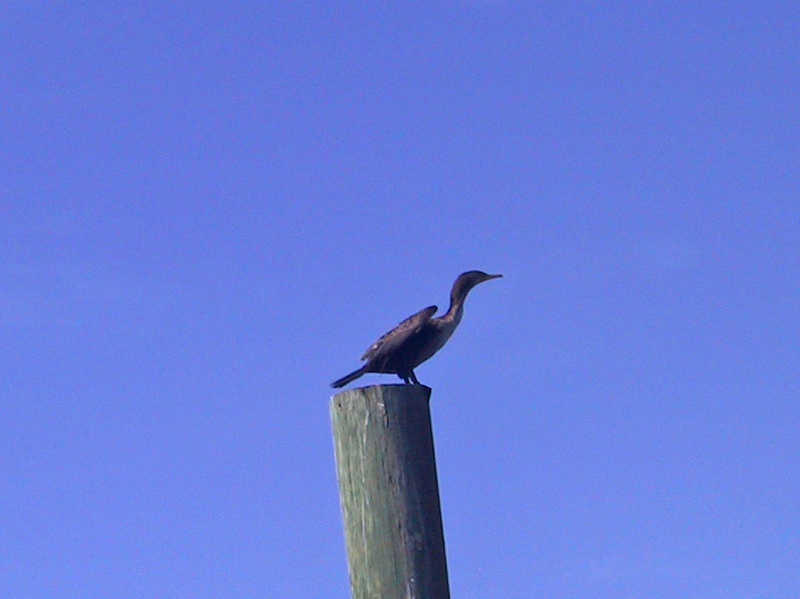 This cormorant was comfortably perched on a piling most likely waiting to spot a fish near the surface. When we arrived back at our starting point at Lighthouse Park, we needed to use the wooden dock as the sandy area where we put in at high tide earlier in the morning as the tide had gone out by midday and there were too many oyster beds to safely dock there. 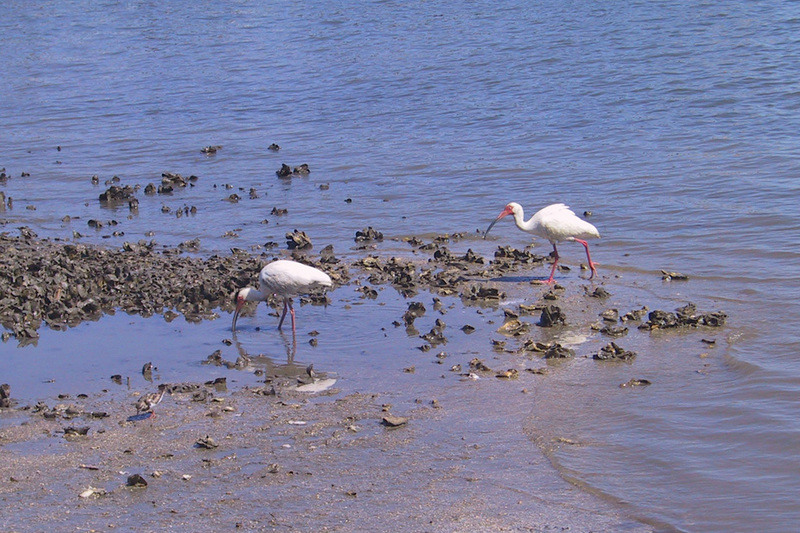 These white ibises were happily exploring looking for a snack. Birds are not the only wildlife you'll find out here. 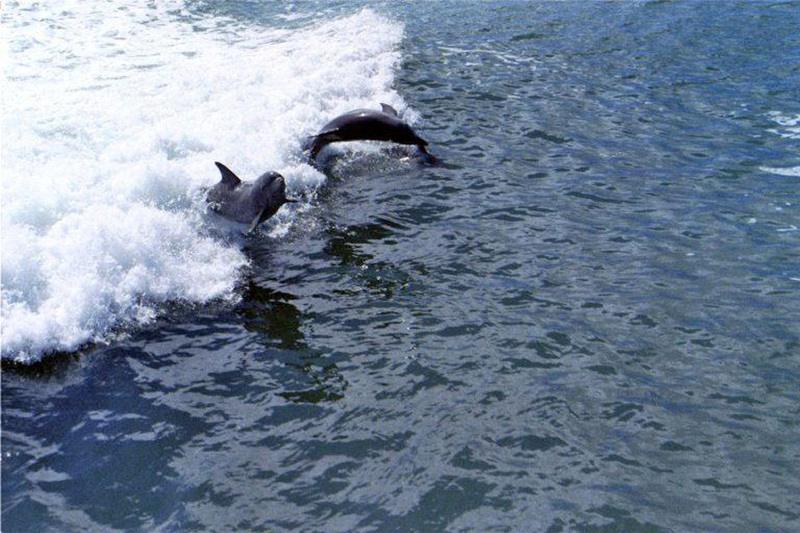 The dolphins were busy herding fish into shallow areas of Salt Run for their brunch. They didn't do any high diving. To see them leaping high our of the water you need to get out into the ocean. There is plenty chances to do that here in Saint Augustine too. Manatees are plentiful in the Saint Augustine area. They usually stay from March through November but some manatees hang out here all year. Can't blame them Saint Augustine is a pretty wonderful place. Most migrate south for warmer waters in winter. 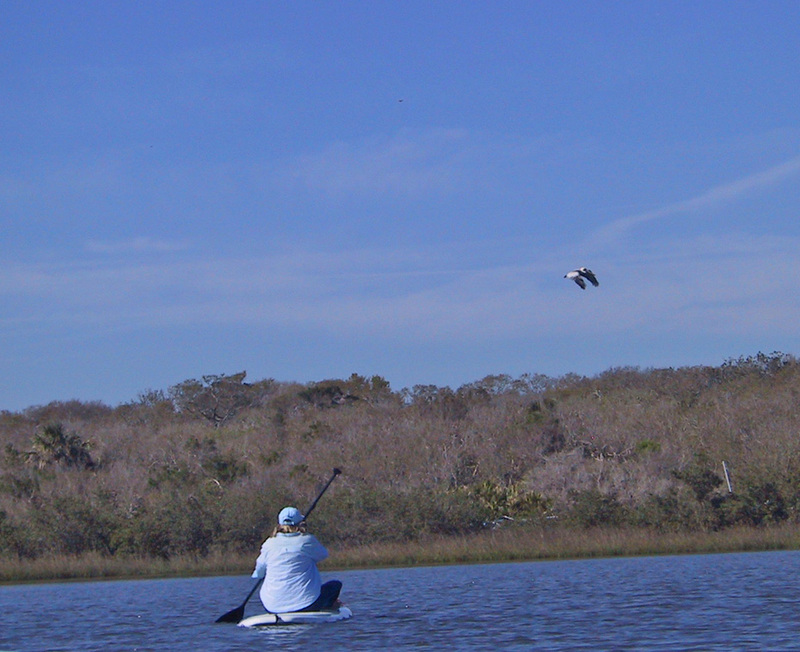 We weren't lucky enough to see one on this kayaking trip even though it was a warm day in early March. If you do spot one do not touch or entice them to your boat. If you are motor boating slow down. 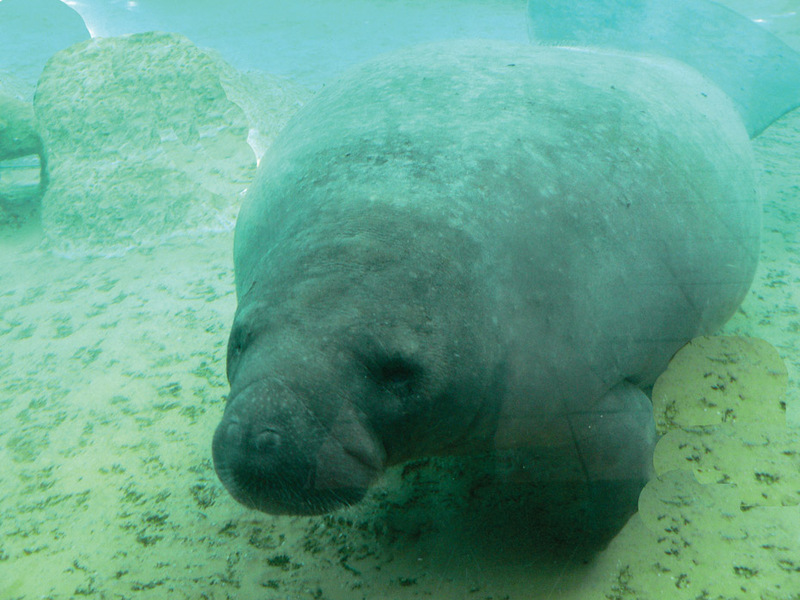 Almost all manatees are scarred from encounters with motor boats. They were on the endangered list but were moved up to "threatened." 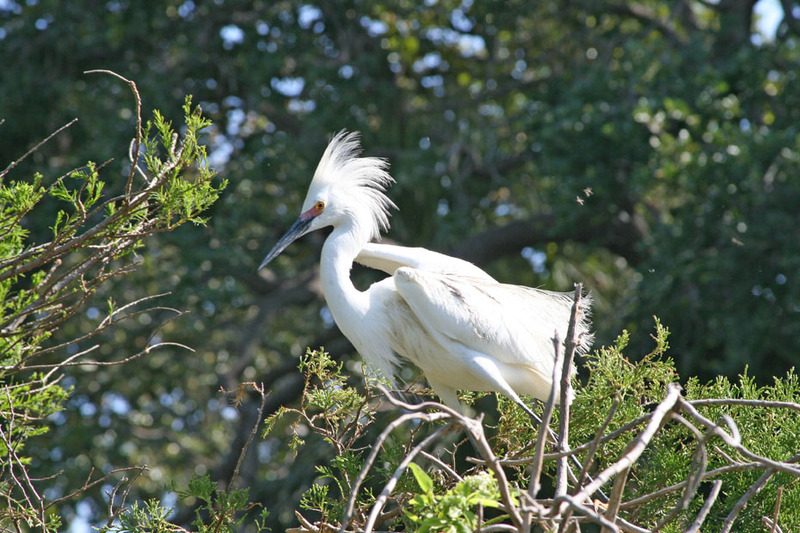 They are still very much at risk from boating accidents and habitat loss. 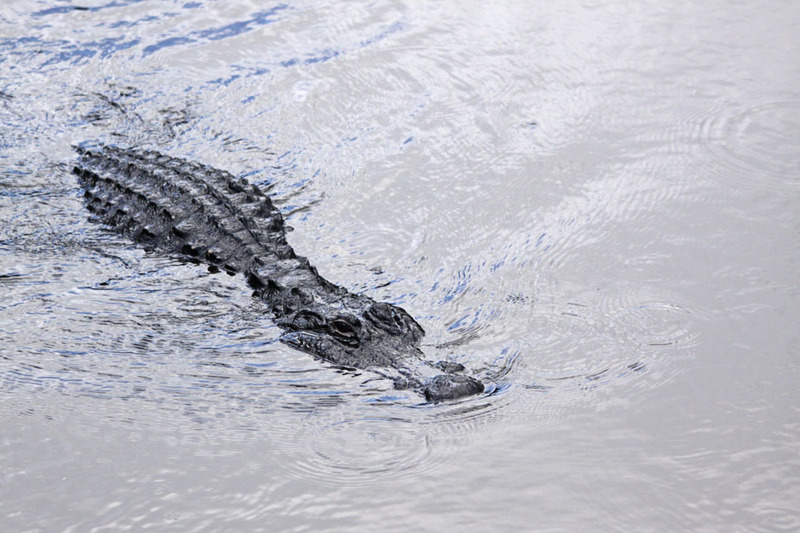 Here is one fellow you'll see in pretty much all the fresh water spots in Saint Augustine. For those of you interested in taking your own bird photos, Florida’s Birding and Photo Fest takes place April 18 – 22 this year. 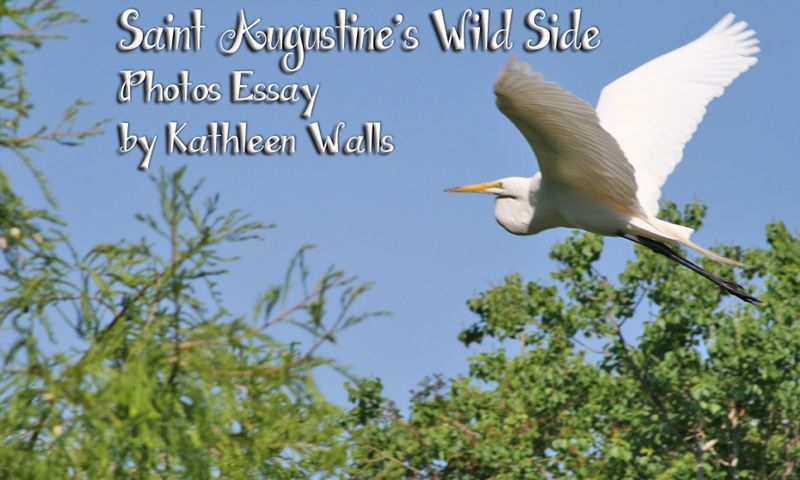 It is centered mainly at Anastasia State Park and Saint Augustine Alligator Farm where I took many of these photos.